Bobi: guitar, Valio: drums, Zdravko: guitar and Stefan: vocals rehearsed for the first time on May, 3rd 2004. That date is considered to be the band's birthday. For the next rehearsals Peter(Sturm) joined the group as a bass player. Later the same year Zdravko left the band and joined a ska band named Chicken Soop in which Valio is the drummer. Distorment moved on with one guitar player which appeared to be the best decision for the moment. The band started writing it's own material from the very begining. The band's style has been described as metalcore, groove metal or crossover, strongly influenced by the lieks of Sepultura, Machine Head, Biohazard. By the end of 2004 there were enough songs ready for a live show. In the begining of 2005 Distorment made their live debut, followed by a few shows in Sofia clubs, along with other Bulgarian underground acts such as Eufobia, Propaganda, Redrum and Zaplaxa. The fall of 2005 saw the band almost ready with their first official demo. In the same time vast contradictions between Sturma and the rest of Distorment led to his departure from the band. The 3 song demo made for the internet only was unleashed upon the listeners in early 2006. The response was quite positive overall. A new bass player - Doni - joined the band in April the same year. 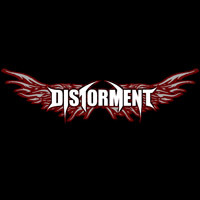 Distorment decided that they should write all new material with him involved in the writing, before they could perform live again. The new songs were ready by the summer and the band started recordin their first official release - a 5 song EP titled "Burning Bridges". The band's style had taken a turn for the heavier more technical approach with strong influences death metal. The "Burning Bridges" EP came out in October 2006 and was followed by a mini-tour in Varna and Burgas, and then by a few shows in Sofia, including the band's performance as headliners of United Underground Festival. The video for the title track was shown on MM TV's extreme music show "Fraktura" a few times, which helped the band become more widely known among the underground show attenders. The begining of 2007 sees Distorment eeger to do a lot more shows in different cities in Bulgaria and maybe some neighbouring countries. The band also has plans to release a full-lenght album, but not before 2008. Life and the things that happen every day to us.